Do there exist physical security devices for USB sticks that serve a function analogous to laptop locks (i.e. preventing smash-and-grab type attacks)? If so, what are they and to what extent do they offer protection? Example scenario: I plug a $250 USB SSD key into my laptop and work in a coffee shop. The attacker yanks out the key on their way out the door and starts running. Even if my data is encrypted, I'm out $250 + any data since my last backup. The problem with most USB thumb drives is that they stick out a whole lot, but you can buy smaller USB drives that will fit snug against your laptop. The problem is that obviously they will be much smaller capacity, but you'll get that security. Additionally, since most laptops have this feature anyway, you could use a SD card, since that will fit right into your laptop, not exposing itself at all. A potential thief/attacker would have no idea it's even there unless they nabbed your laptop. Depends how permanent you are looking for. Crazy Glu works wonders, but kind of kills the removable nature of it. As far as a physical thing goes, about the best you could hope for would be looping it through a lock cable. There isn't really a good way to clamp it to a computer directly. 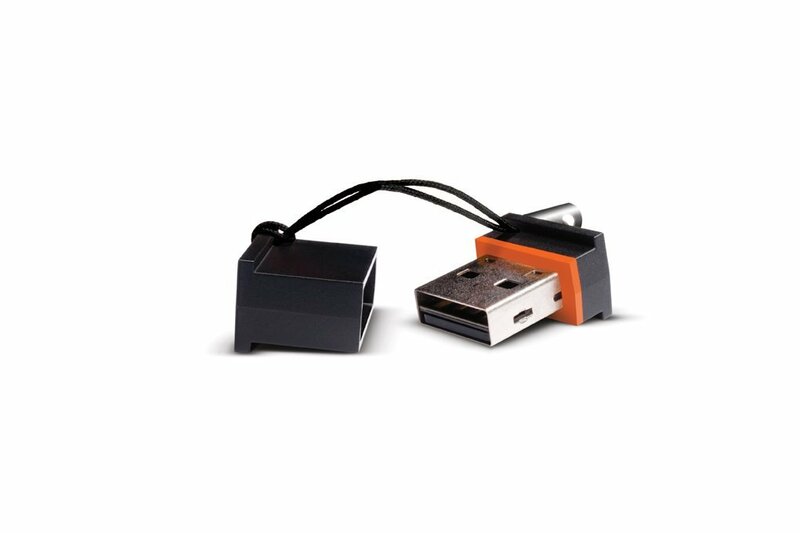 Maybe you could use the laptop lock connector and tie it to the USB stick. Why do most cars use physical keys and no PIN?